If your home is unexpectedly damaged in a natural disaster, insurance companies can help you get back on your feet and return normalcy to your life, but it takes a roofing contractor to get everything you need efficiently. Insurance companies focus on accuracy when assessing claims, and a local contractor can double check with expertise to make sure you receive a proper dollar amount. If you know your home may be in danger of taking damage from a storm, get a camera ready for pictures and videos. Documentation is key to successful insurance claims. So, write down wind speeds, precipitation amounts and any roofing incidents you come across. 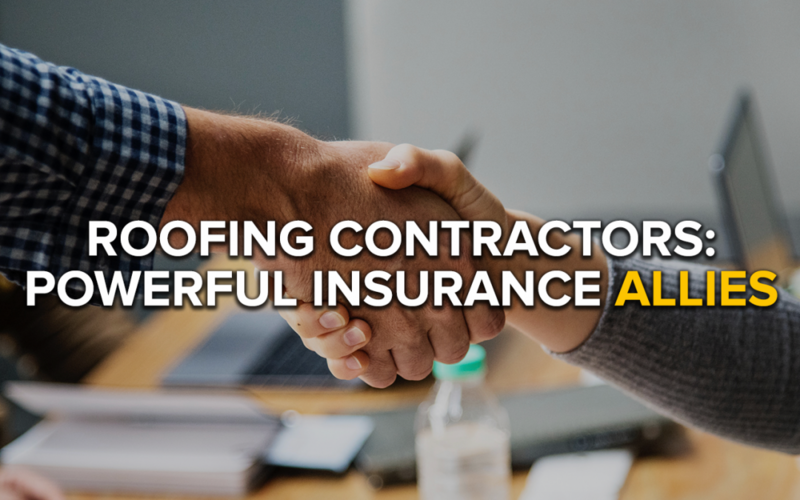 A contractor that is bonded, insured, licensed and works in your town is the right person you need to talk to when it comes to roofing claims. A good contractor typically has positive reviews online, but you can ask around by word-of-mouth for personal recommendations. After selecting a contractor, ask for immediate repairs, and make sure the damages do not get worse. An insurance adjuster needs to come inspect the damages of your home to verify your claims. While this is taking place, be sure to have your chosen roofer present to give a personal account of why the cost of repairs is set to a particular amount. The adjuster and the contractor can work together to formulate a fair and accurate cost for the damages. After the adjuster and contractor settle on a price, you will be able to have your roof fixed at the cost of a deductible. Insurance companies can make better assessments with the guidance of a roofing professional, so you can save money in the long run. V & V Roofing can be your go-to roofing professional for a claim, roofing repair or roof installation. If you have a housing project, we can help. Contact us today!